In this article, we help you select the best CBD capsules and softgels available for sale online. While there are hundreds of CBD products on the market, they’re not all created equal. Not all brands use high quality CBD or are accurately labeled. Even among the top CBD capsules, there’s variation in strength and whether they include additional ingredients. All this makes it confusing to choose the right CBD product. That’s where Ministry of Hemp can help: by picking the top CBD brands and helping you understanding the difference between these products. We’ll lay out some important considerations when it comes to choosing CBD capsules and softgels, and then share our favorites. 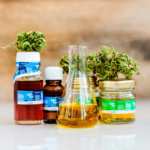 Just as with our 2018 guide to the best CBD tinctures, published earlier this year, we’ve focused on the best quality products in addition to those that are among the most popular. 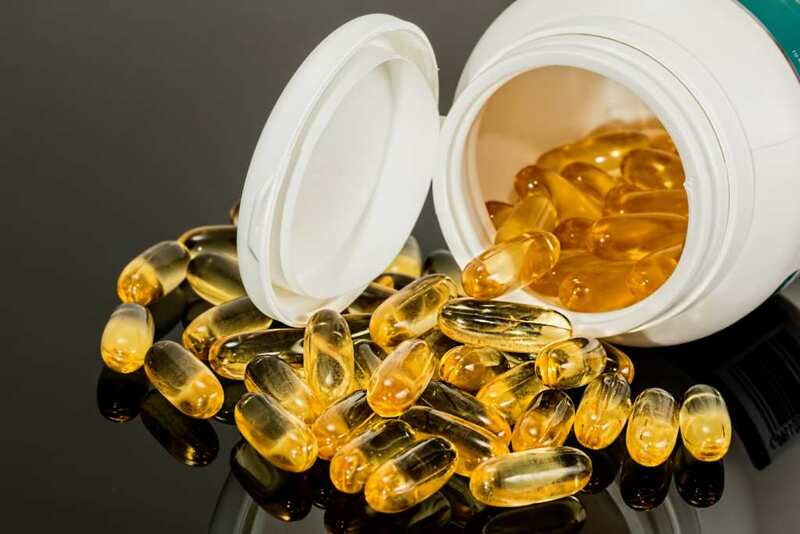 Read on to see our complete reviews of the 14 best CBD capsules and softgels and learn more about which one might be right for you. 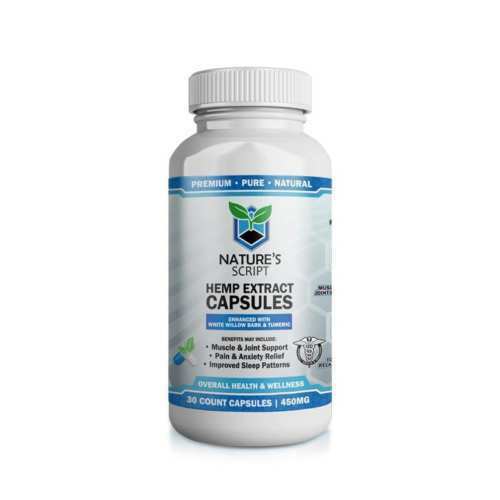 CBD capsules or softgels can be a convenient way to take this popular supplement. There’s no need to taste the hemp, and you avoid the sugar found in edibles like CBD gummies. Taking a capsule can be very discreet as well, since most of these capsules simply look like any other over-the-counter supplement or vitamin. 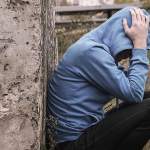 Everyone reacts differently to cannabidiol, and it is possible for people to have side effects from CBD too. 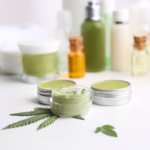 It’s also common for people to react differently to taking CBD in different forms, so you might feel differently after taking capsules versus swallowing CBD oil or vaping CBD. That means you may want to start with a lower dosage when trying a new way of ingesting CBD for the first time. With so many CBD products on the market, how can you select the best CBD capsules for your needs? 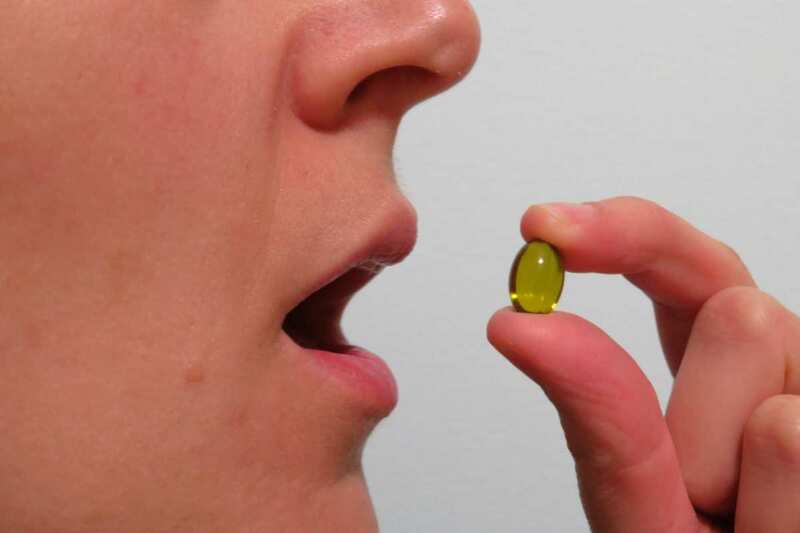 We looked at some research into whether softgels or traditional capsules are more effective. Scientists don’t seem to have a definitive answer. As with many different products, it will come down to personal preference and how your body reacts. How do you know what brand to buy? Even though we’ve selected only high-quality CBD capsules in this article, you might not know where to begin. The first consideration when choosing a capsule is dosage. Most CBD capsules and softgels come in doses between 10mg to 25mg. We always recommend starting small and slowly working up until you find a dose and regimen that works for you. Another consideration is whether you want to take a supplement with additional ingredients. 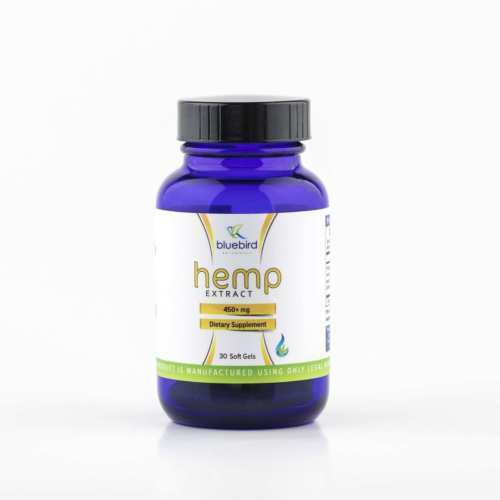 While most of the products we’ve selected contain only full spectrum hemp extract, a few have additional ingredients that may have their own effects or benefits, as we’ve clearly noted. Finally, most of these CBD capsules contain full spectrum hemp extract. Full spectrum means more of the natural compounds found in the hemp plant are preserved in the final product. Some preliminary research indicates that full spectrum extracts are more effective than “isolates,” or CBD alone. Anecdotal reports are divided, with some consumers preferring full spectrum and others reporting they don’t feel much difference. There are many other factors that might matter to you as a discerning buyer of CBD, so we’ve included important information about each brand, with links for you to do your own research as well. The CBD oil market is growing fast, and we’ve inevitably left some great brands off this list. In the end, even some brands we love couldn’t make it into this article. The same criteria we outline below should help you select quality CBD brands even if they weren’t on this list. We focused on the most popular CBD brands, along with promising newcomers. All have well-designed websites, and fast, reliable customer service. We want it to be easy for you to get more information. We believe transparency is vital, especially for CBD and cannabinoids. All products are clearly labeled in terms of strength and additional ingredients. We also favored brands which are clear about the source of their hemp, and the methods they use to produce their products. In this article, Ministry of Hemp selected the top CBD capsules and softgels and helps you pick the right brand for your needs. We only selected brands which make third-party lab results available. Results are accessible online or by request from customer service. Each company offers lab results showing levels of cannabinoids like CBD and THC. 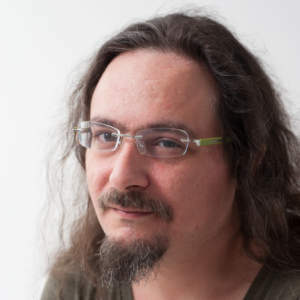 Some offer additional tests. The more information the better but, we admit, it isn’t always easy for new shoppers to interpret these results. Ministry of Hemp received free products from these companies in return for writing this review. We may receive a percentage of sales if you buy products from some of the links below. 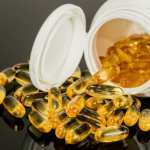 We only selected the best CBD oil capsules and softgels for inclusion in this top product roundup, and we always promise to give you our honest opinion. 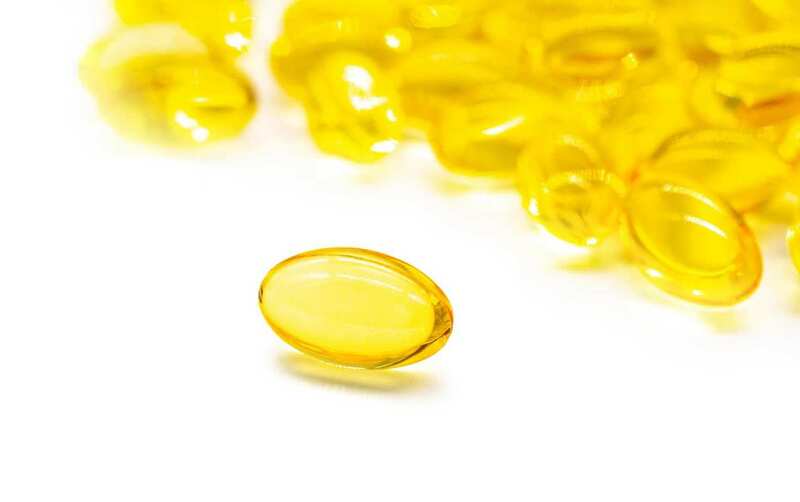 Highlights: One of the most popular and widely available CBD brands, PlusCBD Oil Gold Formula Softgels are fast-absorbing, potent and easy to digest. Special: Use coupon code MOH for 15% off PlusCBD Oil products sitewide. Customer Service & Shipping: Fast customer service. Free shipping available on orders over $99. Key Features: Gluten free and vegetarian formula. Uses olive oil as a base for easy digestibility. PlusCBD Oil products are made from high-quality non-GMO hemp grown in Europe. We’re fans of PlusCBD Oil Café Mocha Spray in our morning coffee. Highlights: Made from organic, Colorado-grown hemp, Bluebird Botanicals CBD Oil Softgels are a favorite of our friends at Anavii Market. Customer Service & Shipping: Fast customer service. Shipping starts at $3.90. Independent Test Results: Online with full results available on request. Key Features: High in beneficial, naturally occurring terpenes like Beta-caryophyllene, Humulene, Myrcene, and more. Unlike many online CBD marketplaces with multiple products, Anavii Market only offers top quality CBD products with exacting standards similar to our own. Highlights: Among the best known makers of CBD, Charlotte’s Web Full Strength CBD Capsules are an easy, convenient way to get a daily dose of full-spectrum hemp extract. Customer Service & Shipping: Fast customer service. Free shipping on orders over $74.99. Key Features: Charlotte’s Web have built an impeccable reputation for their high-quality CBD. Complete Ingredients: CBD Oil / Full Spectrum Hemp Extract plus Rice Bran, Maltodextrin, Microcrystalline cellulose, Cellulose, Fractionated Coconut Oil. Other: They also offer Extra-Strength CBD capsules with 18mg of CBD per capsule. Charlotte’s Web products are made from hemp grown in Colorado. 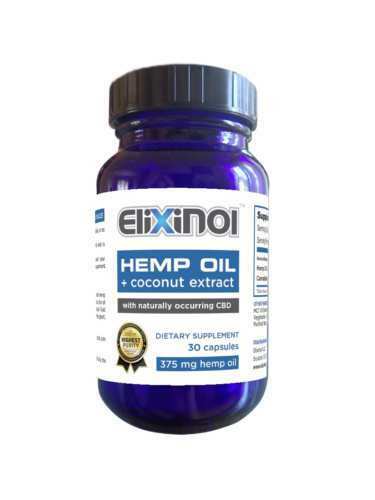 Highlights: Elixinol CBD Hemp Oil Capsules are made from hemp that’s specially bred to be high in CBD and other synergistic compounds like cannabinoids and terpenes. Customer Service & Shipping: Fast customer service. Free shipping on all orders in the U.S.
Key Features: Vegetarian capsules with a mixture of hemp oil and coconut-oil. These capsules are so high-quality, they can actually be used as suppositories. Other: 30 day refund available for unsatisfied customers. Elixinol sources all their hemp from their Colorado hemp farm. They donate 5% of every purchase to a customer-selected nonprofit. 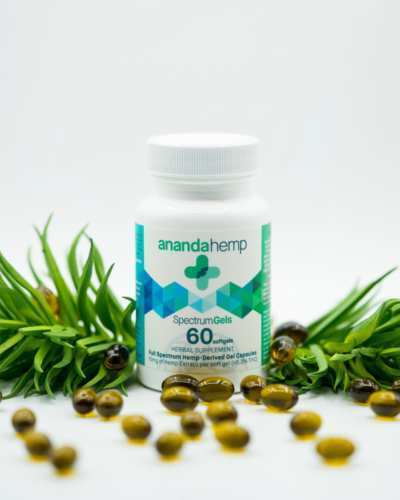 Highlights: Ananda Hemp Spectrum Gels are great for many purposes, but they’re a favorite of our editor for promoting rest and reducing anxiety before traveling. Key Features: Extracted from the flowery tops of hemp grown with care by an 8th-generation tobacco farmer in Kentucky from unique cultivars of hemp. Ananda Hemp grows their hemp on a 500-acre farm in Kentucky. We appreciate their enthusiastic support of the hemp industry through the U.S. Hemp Roundtable. 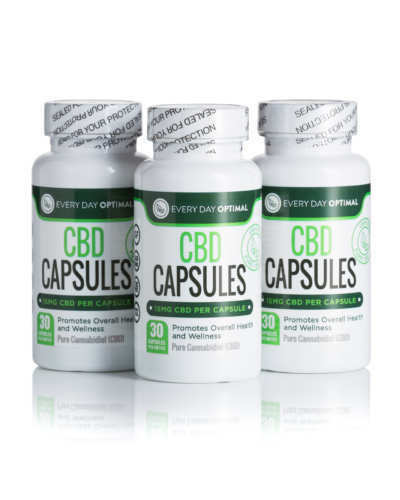 Highlights: Every Day Optimal Pure CBD Oil Capsules are more versatile than most: gluten-free, vegetarian, with multiple formulas and available in up to 50mg of CBD! Customer Service & Shipping: Fast customer service. Standard flat rate shipping starts at $4.99. Key Features: Gluten-free, vegetarian softgels available in a wide range of strengths. Other: Also available in 10mg, 15mg, and 50mg softgels, as well as special Fibromyalgia, Stress and Sleep formulas. Every Day Optimal uses domestically sourced, non-GMO, pesticide free hemp plants. We also love Every Day Optimal CBD Oil Gummies! 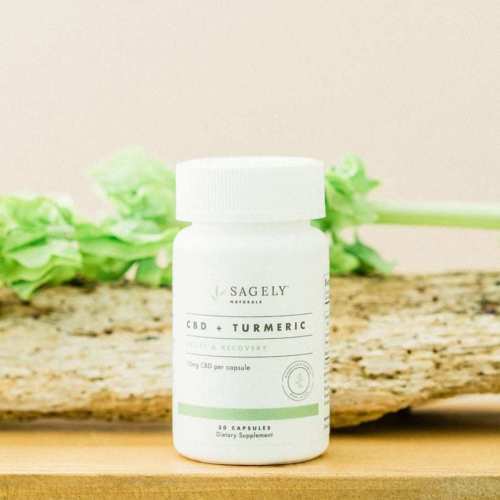 Highlights: Sagely Naturals Relief & Recovery Capsules combine full spectrum CBD with turmeric, a popular herb purported to offer anti-inflammatory benefits. Customer Service & Shipping: Fast customer service. Free shipping on orders over $36.00. Key Features: A relatively low dose of CBD plus added turmeric helped our reviewer combat inflammation and chronic pain while maintaining daytime activity. These capsules are vegan, gluten-free and kosher! Other: Part of a complete “Relief & Recovery” product line targeting inflammation and discomfort. Sagely Naturals uses only U.S.-grown, organic, non-GMO hemp in their products. We also enjoy Sagely Naturals Relief & Recovery Cream for quickly warming and easing sore muscles. Highlights: Nature’s Script Hemp Capsules offer a proprietary blend of CBD with willow bark and turmeric. Customer Service & Shipping: Fast customer service. Free shipping available on orders over $100. Key Features: Nature’s Script’s special blend of herbs combined with CBD is designed to promote relaxation and combat anxiety and inflammation. Other: Also available in a 25mg “high potency” formula. Nature’s Script uses hemp grown on U.S. farms with a special focus on sustainable growing methods. Highlights: Green Roads CBD Capsules offer a potent dose of CBD oil in an easy to digest, vegetarian base. Customer Service & Shipping: Fast customer service. Free shipping on orders over $100. Green Roads uses pharmaceutical-grade CBD made from U.S.-grown hemp. 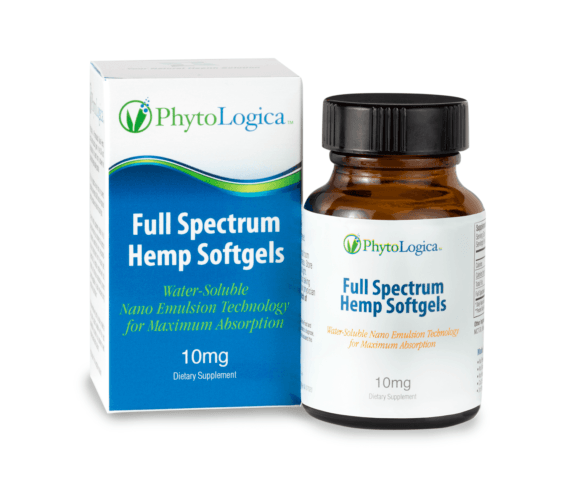 Highlights: PhytoLogica Full Spectrum Hemp Softgels are made with a proprietary water-soluble technology that may be easier to absorb. Customer Service & Shipping: Fast customer service. Free shipping on orders over $99. Key Features: PhytoLogica’s softgels are made with patent-pending “nano emulsion technology” designed to maximize bioavailability. Kosher-certified & physician professional-grade formula. Complete Ingredients: CBD Oil / Full Spectrum Hemp Extract and Beta-Caryophyllene (terpene) plus Polysorbate 80, Polysorbate 20, MCT (coconut-based) oil, in a Gelatin softgel. Other: Also available in 25mg softgels. PhytoLogica uses only organically-grown U.S. hemp in all their products. 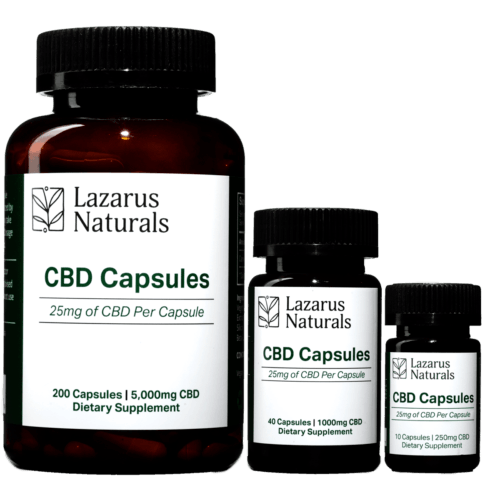 Highlights: Lazarus Naturals CBD Capsules are carefully formulated with added organic terpenes for maximum effect. Customer Service & Shipping: Fast customer service. Free shipping on orders over $50. Key Features: Additional terpenes may offer added benefits through the ‘entourage effect.’ This formula is non-GMO, vegan and gluten-free! Other: 10mg capsules are also available. A 30-day money back guarantee is available for unsatisfied customers. Lazarus Naturals uses only U.S.-grown hemp in all their products. 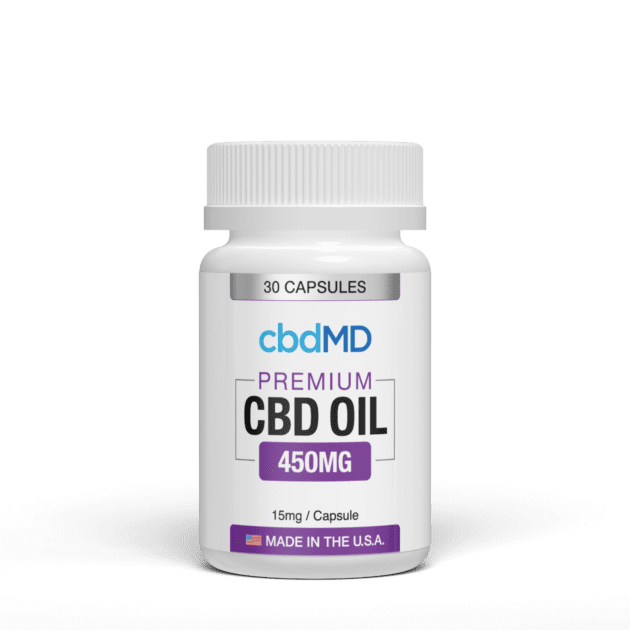 Highlights: cbdMD CBD Oil Capsules are made with a broad-spectrum extract that emphasizes additional vital cannabinoids and terpenes. Customer Service & Shipping: Fast customer service. Free shipping. 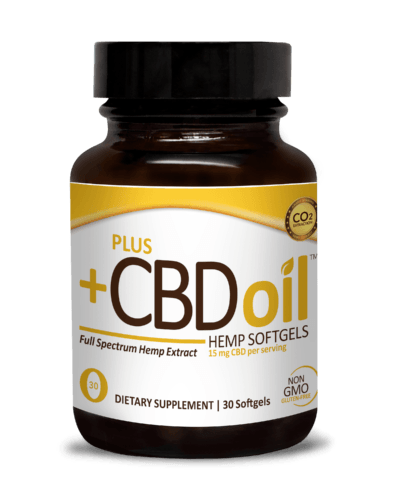 Key Features: cbdMD’s hemp extract is high in additional cannabinoids such as CBG & CBDV. These capsules are vegan and gluten-free. 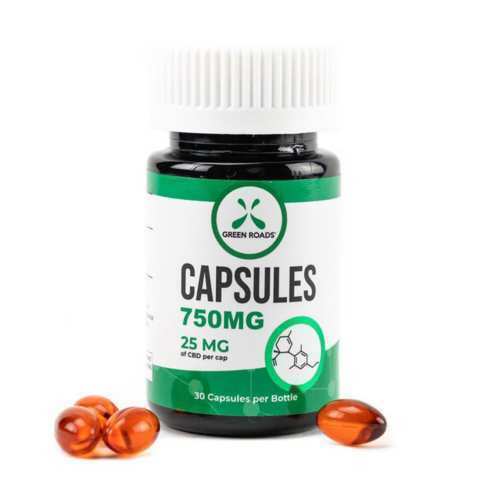 Other: Also available in a variety of strengths up to 50mg per capsule. A 30-day money back guarantee is available for unsatisfied customers. cbdMD uses hemp grown in Kentucky under a rigorous testing and quality-control process. 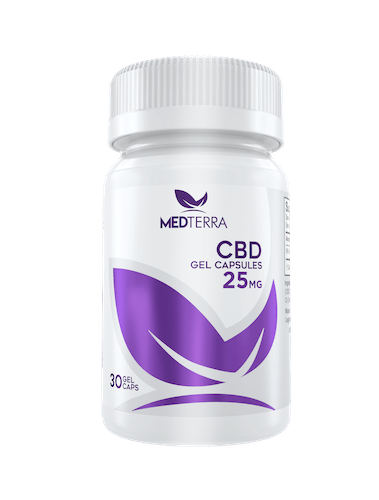 Highlights: MedTerra CBD Gel Capsules are a fast and convenient way to take just CBD isolate. Customer Service & Shipping: Fast customer service. Free shipping on orders over $125. Key Features: Both our review team and readers love Medterra CBD! Other: Also available in 50mg softgels. A 30-day money back guarantee is available for unsatisfied customers. MedTerra makes all their products from non-GMO hemp grown in Kentucky. Some research suggests isolates may be less effective than full spectrum extracts. 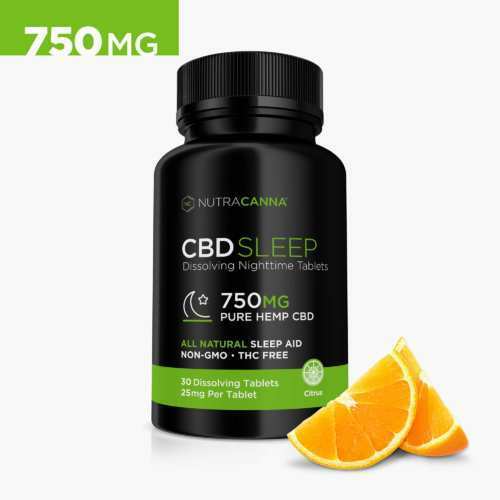 Highlights: NutraCanna CBD + Melatonin Dissolvable Tablets are a unique and fast-acting CBD product that dissolves under your tongue, easing you off to sleep. Customer Service & Shipping: Fast customer service. Free shipping on orders over $75.00. Key Features: Unlike normal caplets, these tangy, orange-flavored tablets dissolve under under your tongue; added melatonin may promote restful sleep and combat insomnia. Complete Ingredients: CBD isolate plus Melatonin with Magnesium Stearate, Silicon Dioxide, Stevia, D-Mannitol, Xylitol, MCC (Microcrystalline Cellulose), Crospovidone, Dibasic Calcium Phosphate Anhydrous, Citrus flavor, Sodium Copper Chlorophyllin, Avocado Oil powder. Other: Also available in 10mg tablets, both with and without melatonin. A 30-day money back guarantee is available for unsatisfied customers. NutraCanna’s products are made from non-GMO hemp grown on Kentucky farms. Our review team also loved the non-melatonin variety of NutraCanna CBD Dissolvable Tablets. Some research suggests isolates may be less effective than full spectrum extracts. I’ve tried a few and like Elixinol the best. Purest, fewest excipients and no crap in them like maltodextrin. What is , in Your opinion, the VERY BEST CBD brand for Me? I will be 81 on 12/27/2019. I purchased MediLeaf brand CBD oil caps 150 mg., and they worked very well for pain. They promised to send me additional bottles at $33 but reneged. They want $80. I then ordered Terry naturally hemp oil + curcumin and also Deva vegan hemp oil with Omega 3-6-9. I don’t think these work as well. Are these two Brands safe? I notice the mg.’s are much lower in your brands, but I’m going to try one of your suggested brands. Thank you. None of these are available on Amazon! Coincidence?